Gold stocks outpaced the stock market for most of the year, returning excellent profits to investors. How well did gold stocks do in 2016? Well, look no further than our list of the nine top-performing gold stocks of 2016. Investors should keep in mind that we are not recommending these particular gold stocks. This is simply a list of which gold equities have performed the best in 2016.
International Tower Hill Mines Ltd. (NYSEMKT: THM) is a mineral exploration company that acquires mineral properties in the United States and Canada. Shares of THM climbed 121% in 2016. The eighth best-performing gold stock of 2016 was IAMGOLD Corp. (NYSE: IAG). IAMGOLD develops and operates mining properties in North, South, and West Africa. The company explores locations for silver, copper, zinc, and gold. It was founded in 1990 and is headquartered in Canada. The IAG stock price climbed 128% in 2016. The next top-performing gold stock in 2016 was Gold Resource Corp. (NYSEMKT: GORO). Gold Resource produces silver and gold in Mexico. It was founded in 1998. GORO shares climbed 140% in 2016. The sixth best-performing gold stock of 2016 was Gold Standard Ventures Corp. (NYSEMKT: GSV). GSV acquires gold-bearing mineral resource properties in Nevada. Its biggest property is the Railroad-Pinion Gold Project, which covers 30,404 gross acres of mineral rights. The GSV stock price climbed 187% in 2016. 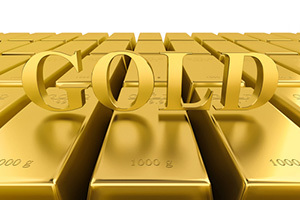 DRDGOLD Ltd. (NYSE ADR: DRD) was the fifth best-performing gold stock of 2016. DRDGOLD engages in the production and sale of gold from surface tailings in South Africa. The company was founded in 1895, and it is headquartered in South Africa. The DRD stock price climbed 205% in 2016. The next top gold stock of 2016 was Vista Gold Corp. (NYSEMKT: VGZ). Vista Gold explores and acquires potential development projects in North America and Australia. It was founded in 1993 and is based in Colorado. VGZ shares climbed 215% in 2016. The third-best gold stock of 2016 was Jaguar Mining Inc. (OTCMKTS: JAGGF). Jaguar Mining acquires and develops gold-producing properties in Brazil. It was founded in 1994 and is headquartered in Canada. The JAGGF stock price climbed 237% in 2016. The second best-performing gold stock in 2016 was Gold Star Resources Ltd. (NYSEMKT: GSS). Gold Star owns and operates an open-pit gold mine in Ghana, an underground development project, and a carbon-in-leach processing plant. Gold Star was founded in 1994 and is headquartered in Canada. The GSS stock price climbed 323% in 2016. The top-performing gold stock in 2016 was Northern Dynasty Minerals Ltd. (NYSEMKT: NAK). Northern Dynasty explores and develops mineral properties in the United States. Northern Dynasty was founded in 1993 and is headquartered in Canada. Shares soared 471% in 2016. Although gold prices have pulled back recently, Money Morning continues to recommend gold. The stock market run isn't based on fundamentals, and there could be a 2017 stock market crash just around the corner. Money Morning recommends investors have a stock market crash protection plan. Investors should have 10% to 20% of their portfolio consist of gold. That's because gold can offset losses from stock and real estate investments. We've just spotted a gold anomaly that could create cash windfalls of up to $13 billion.